The red variety comes from Greece, Synonyms are Kalabaki, Kalambaki, Kalambaki, Lembiotiko, Lemnia, Lemnio, Lemniotico, Limniona, Limniotico and Mavro Limnio. She is not allowed with the variety Limniona be confused, according to DNA analysis genetically different. According to a no longer verifiable, improbable hypothesis, it is said to be different from that of Aristotle (384-322 BC) and Hesiod (~ 750-680 BC) descended from the species Lemnia (Limnia). 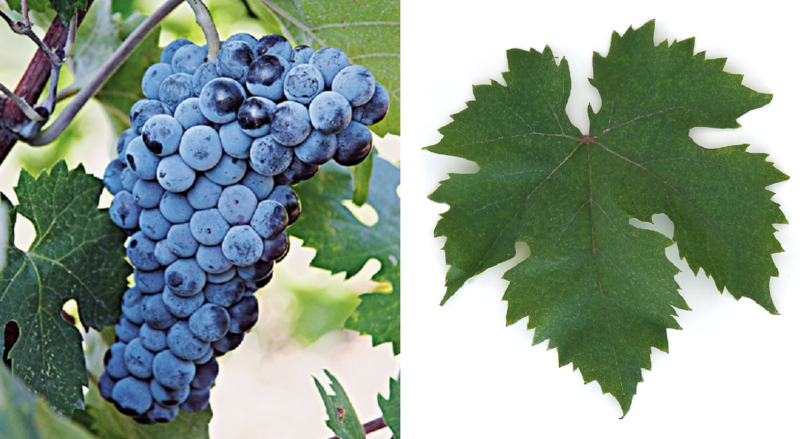 The late-ripening vine is resistant to drought, but prone to wrong mildew and Botrytis, It produces body, tannin and alcohol-rich red wines with pronounced acidity, as well as spicy aromas of sage and laurel. These are pressed sorted, or with Cabernet Sauvignon. Cabernet Franc and Mavrotragano blended. The variety is on the eponymous island Limnos in the Aegean grown. Other stocks exist on the mainland in the regions Macedonia ( Côtes de Meliton ) and Thrace, In 2010, 372 hectares of vineyards were reported (Kym Anderson ). This page was last modified at 3 February 2018 at 07:47.